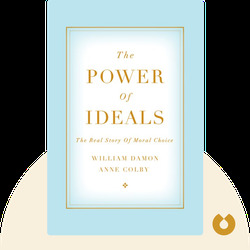 The Power of Ideals (2016) shines a light on the questionable science behind the new thinking in psychology that holds people are inherently immoral beings. 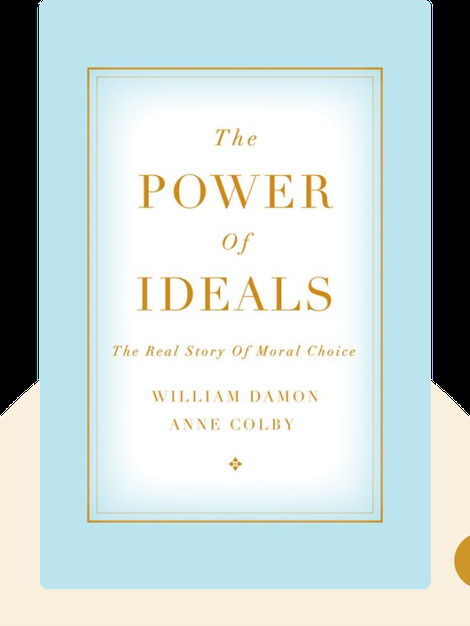 These blinks offer a deeper, clearer look into the nature of human morality and show how our actions are shaped by innate human traits of empathy, humility and honesty, as exemplified by the achievements of society’s moral leaders. William Damon is a professor of education at Stanford University and a senior fellow at the Hoover Institution on War, Revolution and Peace. He is also the author of Greater Expectations: Overcoming the Culture of Indulgence in Our Homes and Schools and over a dozen other books. Anne Colby is a consulting professor at Stanford University.